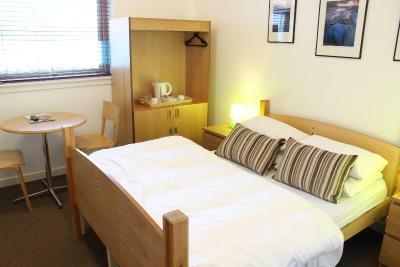 Lock in a great price for Edinburgh Central Youth Hostel – rated 8.2 by recent guests! Breakfast was delicious, superbly cooked and plentiful. Staff were brilliant, friendly and helpful and always smiling. Always someone available. Room was really good, clean and spacious. Very good location, a few minutes walking to the city centre. Good value for money. Bed comfortable. everyday needs were nearby. very clean. kitchen facilities good. lift available. Lots of information available both with pamphlets and via staf. This was my first stay in a hostel, and it was so amazing that next time I visit Edinburgh, I'm booking it again! I use a wheelchair, and they put me in a 'wheelchair-accessible' room...which wasn't actually 100% wheelchair accessible, but it was very close. I was in the room by myself, which was very nice in a hostel. It was also incredibly quiet and impeccably clean! The staff were all very nice and helpful, as well. The location and facilities are great! Great restaurant with the best breakfast! Central location, good value for money. The room was clean. All was excellent ! I will recommend this youth hostel very central and friendly. Good location, staffs are very helpful especially Jacob and Violy. I liked how welcoming and clean the property was. It was also easy to find! 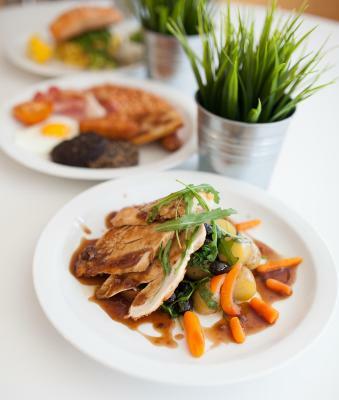 There are a number of restaurants in the area if you aren’t in the mood for the in-house cafe. Breakfast was great in the morning. Room was all that was needed and bed was cosy .Liked separate toilet and shower . Good security on all floors . Well equipped kitchen for cooking meals and nice sitting area next to kitchen . 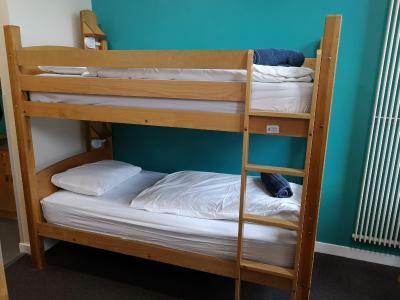 Edinburgh Central Youth Hostel This rating is a reflection of how the property compares to the industry standard when it comes to price, facilities and services available. It's based on a self-evaluation by the property. Use this rating to help choose your stay! 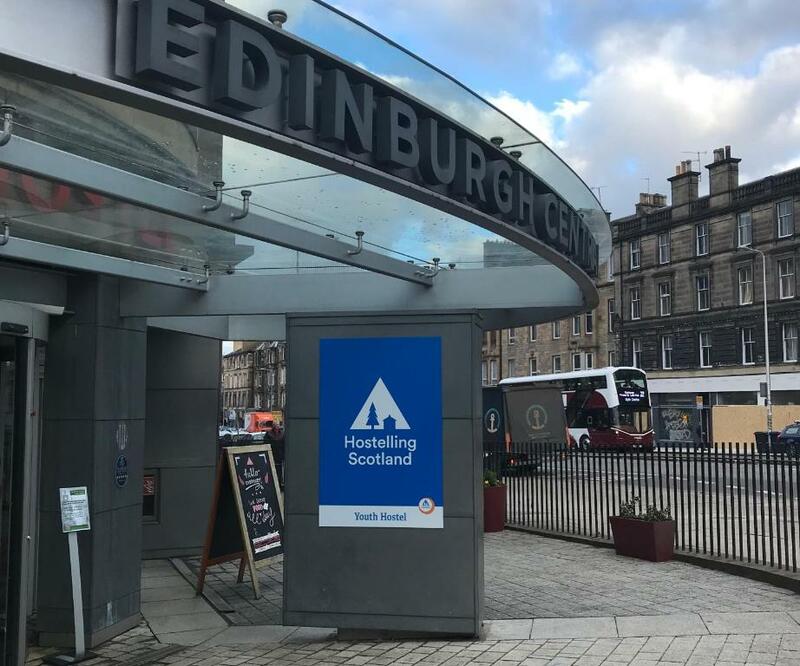 The 5-star Edinburgh Central Youth Hostel is just half a mile from the shops of Princes Street and Edinburgh Train Station. 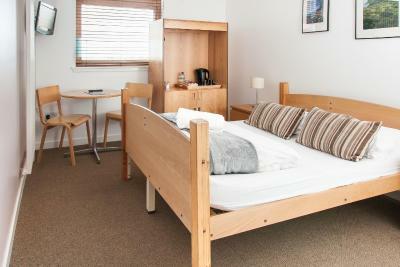 It provides a licensed cafe and restaurant, a shared kitchen and modern rooms with private shower rooms. The historic Royal Mile can be reached in less than a 20 minute walk, and the views from Arthur’s Seat are 1.5 miles away. 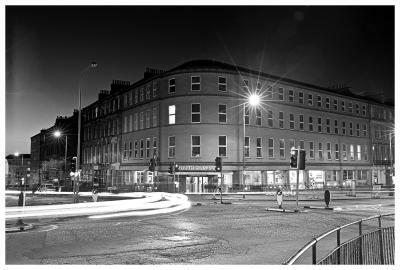 Vibrant nightlife in Cowgate and bars on George Street are both within a one mile walk. 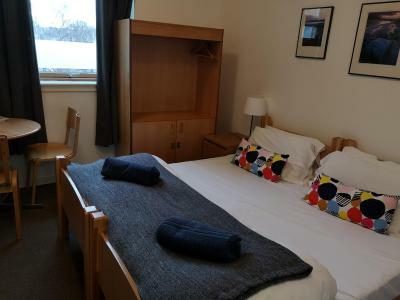 Edinburgh Central’s guests have secure coin lockers in each room, and some rooms also have a TV and DVD player. 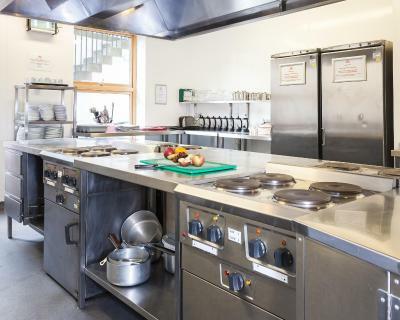 A fully equipped communal kitchen is provided, as are laundry and ironing facilities. 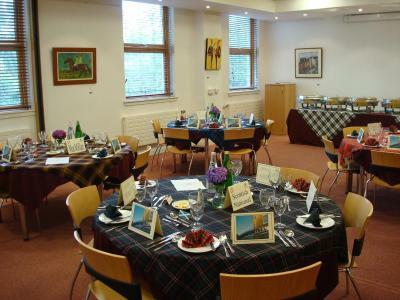 The hostel’s Bistro offers a varied menu for meals throughout the day. The bar area has plasma TV's and Wi-Fi coverage, and the front desk is open 24 hours. SYHA is a charity and membership organization. For non-members, a supplement per person, per night will be added to the published rate. See Important Information for more details. 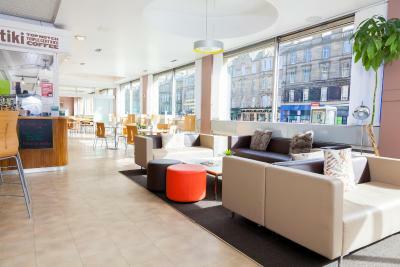 When would you like to stay at Edinburgh Central Youth Hostel? This private twin room features an private bathroom. 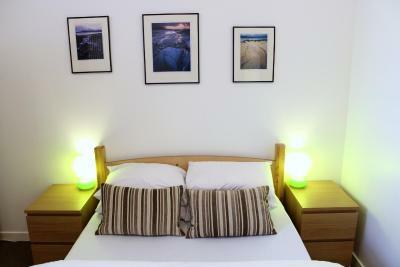 A quiet double room with a private bathroom, flat-screen TV and tea/coffee making facilities. This room comes with an en suite shower room. Additional shower rooms are on each floor. This room comes with shared bathroom facilities. This room comes with an en suite shower room. This dormitory features and private bathroom. 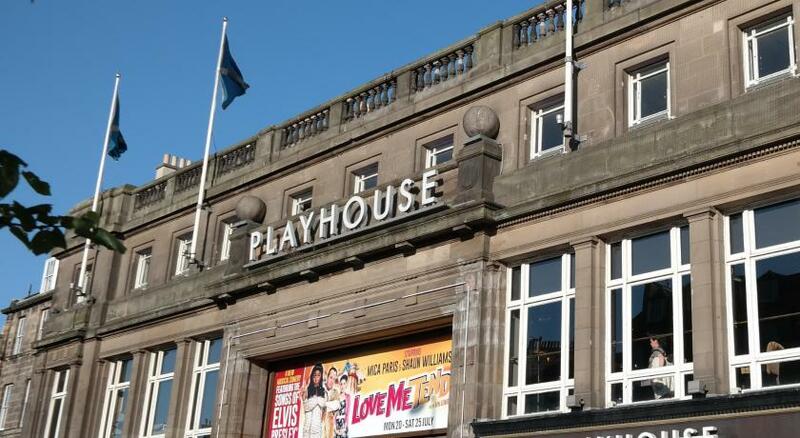 House Rules Edinburgh Central Youth Hostel takes special requests – add in the next step! Debit card Edinburgh Central Youth Hostel accepts these cards and reserves the right to temporarily hold an amount prior to arrival. Edinburgh Central Youth Hostel accepts these cards and reserves the right to temporarily hold an amount prior to arrival. All bookings will include a temporary membership fee per person per night. (Full, existing members of Hosteling Scotland and HI using these channels are not entitled to a membership refund). Individual reservations (Up to 9 people) - can cancel free of charge until 3 days before the arrival date. If canceled within the 3 days before the arrival 100 percent of the total price will be charged. Groups reservations (more than 9 people) - different policies and additional supplements will apply. More than 8 weeks (57 days or more) 20% of total cost. 8 – 4 weeks (56- 29 days) 55% of total cost. 4 – 0 weeks (28 - 0 day) 100% of total cost. Should guests be entitled to a refund or part refund please note that these are processed by Hosteling Scotland National Office, Stirling. It may take 7 to 10 working days from the date of cancelation request for the refund to be processed back onto the original card used. Parties with children under 12 years will only be accommodated in private rooms, where available. 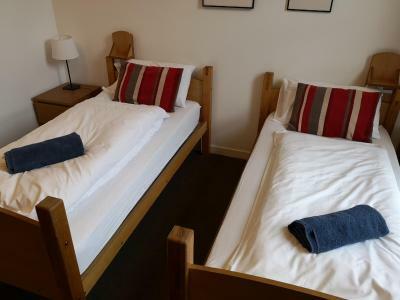 Hosteling Scotland advises that additional notice be given to the destination youth hostel when traveling with children, to ensure that suitable accommodations is available. There is no capacity for extra beds or cots. 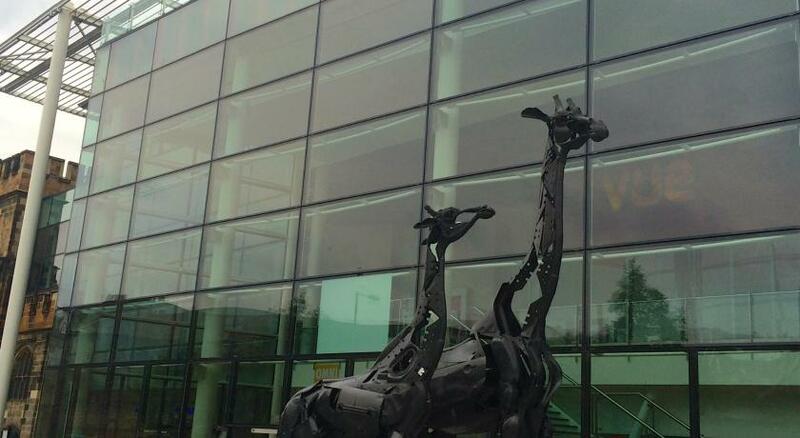 Check-in from 15.00 and check-out is until 10.00. 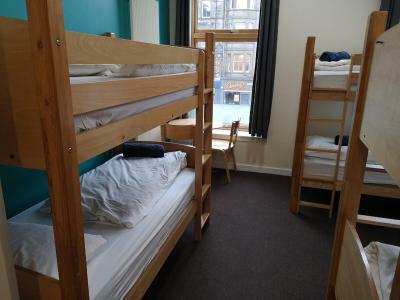 Our Edinburgh Central Hostel does have a 24-hour reception. You are welcome to arrive at any time, although room access is from after 15:00. Guests do have all-day access to the youth hostel once check-in is complete. The room was a bit dusty, could use a little more cleaning. Too much light coming from the windows, no black out curtains. 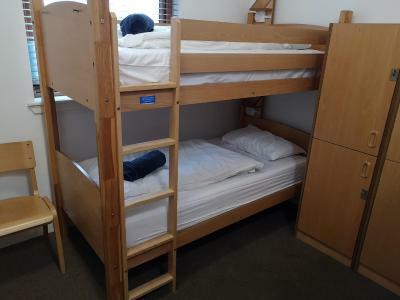 Modern, clean, comfortable bed, room temp good, staff very nice. A little bit noisey due to being next to a main road but had a good sleep regardless. Really comfy beds close to the centre of Edinburgh. Staff were friendly at check in and check out. The only downside to the room we had was the shower room. The shower itself was brilliant but if you were sharing with someone you didn't want to get changed in front of it was very difficult to do so in that room as the shower was a wet room. 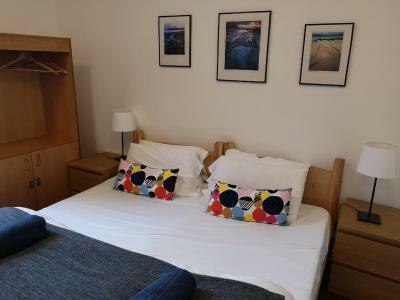 Fantastic location, perfect room for 2 people. Check-in was easy and the locker facility was great. Restaurants and bars were a few minutes walk away and Greggs right across the road was very handy! The hostel by far exceeded all my expectations. Will def stay again. Location, staff and general facilities were excellent . Curtain too short to cover window. The size of the room and friendless of staff. The locations is just perfect, staff are really nice and dorms super clean, really liked it and would recommand it! One thing I would change is the location of plug sockets. It was at very awkward places and made the process of charging the phone a big chore. The rooms were of nice size and a clean bathroom is always welcome. 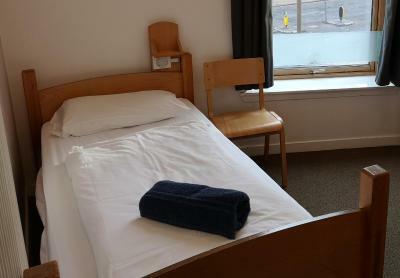 Big room with extremely comfortable beds and clean (separate) shower and toilet. Just enough storage room for whatever bags you brought. Very friendly staff, too. I’d definitely recommend it to anyone! 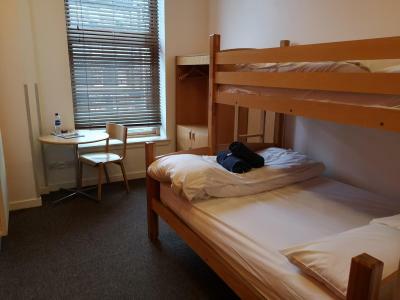 The hostel is in a great location, and the staff extremely helpful. I t was no problem to leave all our gear after we vacated ous room and collect it much later. Nothing much as things which the staff can control was very excellently managed. 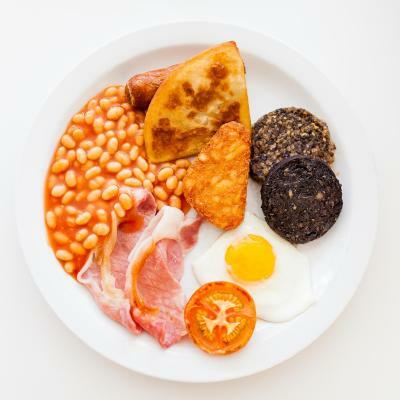 But one thing which can be improved is the list of items in the continental breakfast as compared to cost the item available is too little. Service level by the staffs was excellent. Beds are comfortable. Very clean. Everyone is friendly and welcoming. Excellent breakfast. Great location. 10 minute walk in to town.